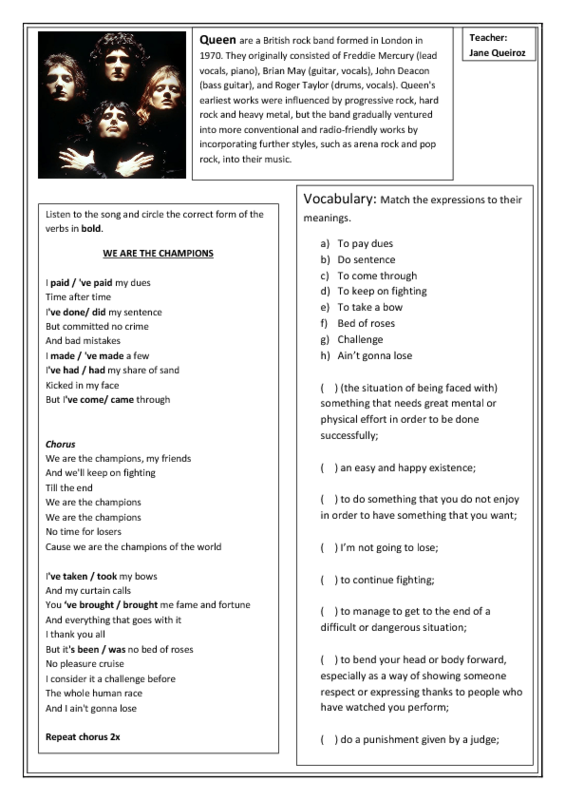 This workesheet is aimed to practice the present perfect. There is a short reading about the origin of the band. Students are supposed to listen to the song and circle the correct verb form - simple past or present perfect. 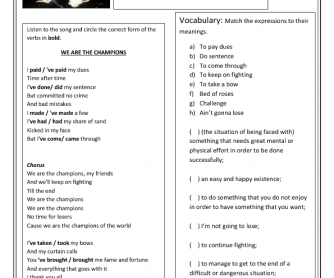 There is also a vocabulary activity in which students match some expressions from the song to their meanings. Both teens and elderly students enjoyed the song and the video clip.